There’s never a bad time to take a cruise to an amazing destination, but did you know that the holidays are some of the very best times to get away from it all? 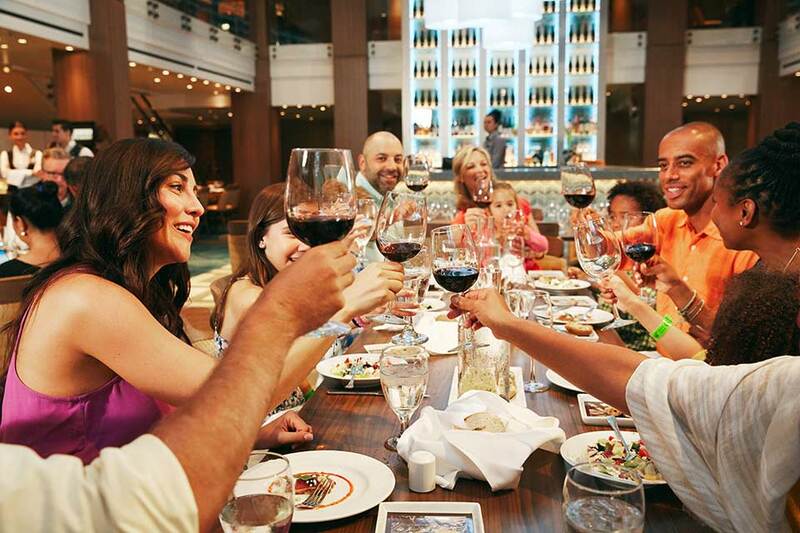 This may seem counterintuitive since Thanksgiving is synonymous with family and a home-cooked meal, but you can enjoy all the best that this special day has to offer — with none of the drawbacks — aboard ship for a celebration you’ll never forget. 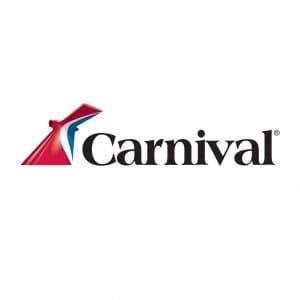 Carnival offers many a holiday cruise over Thanksgiving, and you can choose from a quick weekend getaway to a full week’s vacation to Mexico, The Bahamas or the Western Caribbean. Trips that extend over Turkey Day offer extra-special meals and celebrations to help you make the most of Thanksgiving, no matter where you cruise to. Thanksgiving special events only happen on Thanksgiving Day, so double-check your cruise vacation dates before booking to make sure you’ll be able to take advantage. No need to worry about cleaning the house from top to bottom for guests or decorating with a cornucopia of fruits and veggies from the farmers’ market — who even has a cornucopia lying around, anyway? During your cruise vacation all you need to do is enjoy the pool deck in the afternoon and show up on time for your meal in the dining room. Let’s talk turkey: Cooking a huge Thanksgiving feast for the whole family can be overwhelming. This year, you can skip the fuss and get straight to the best part — eating! Carnival chefs prepare a sumptuous meal that hits all the best parts of this American tradition: roasted turkey, yams, mashed potatoes, cranberry sauce, giblet gravy and pumpkin pie. Close your eyes and picture your kitchen after last year’s Thanksgiving dinner. Were there pots and pans stacked up everywhere? That’s not your responsibility when you enjoy your holiday aboard ship. The staff will whisk away your plates, and you’re free to enjoy an after-dinner drink or some stargazing on deck. Can’t bear the thought of missing all the big balloons at the famous Thanksgiving Day parade? No problem! Head to the Carnival Seaside Theater to watch the event on the big screen. There’s nothing quite like it to put you in the spirit of the day, and it’s a Carnival tradition to enjoy it at sea. There are always plenty of fun cruise activities to enjoy on your days at sea, but Carnival adds some Thanksgiving flair to the proceedings when you travel over the holiday. Try your hand at Thanksgiving Trivia or a themed Duck Hunt to stay occupied while you wait for dinner to start. 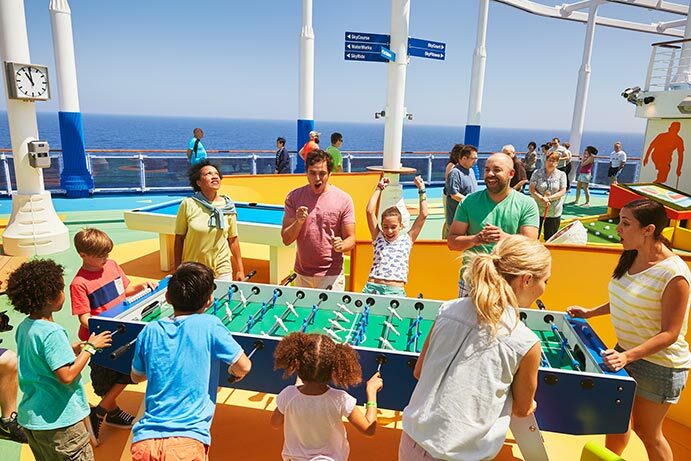 Family cruises are a great way to enjoy some stress-free activities before diving into the busy holiday shopping and celebration season at the end of the year. While the adults partake in various onboard activities, kids and teens will love camps and clubs designed just for them. These groups are arranged by age and provide loads of activities, from arts and crafts to karaoke. Most schools and businesses close for at least a long weekend over the Thanksgiving holiday, so it’s the perfect time to travel to Mexico or the Caribbean for an unforgettable adventure. You’ll be able to maximize your fun without sacrificing all of your vacation days in one shot, and you may be able to get away for longer when you piggyback on time off you already have coming your way. What’s more fun that watching the Turkey Day football games? Watching them with your new best friends onboard a ship! Superfans should bring their team gear to show their support. 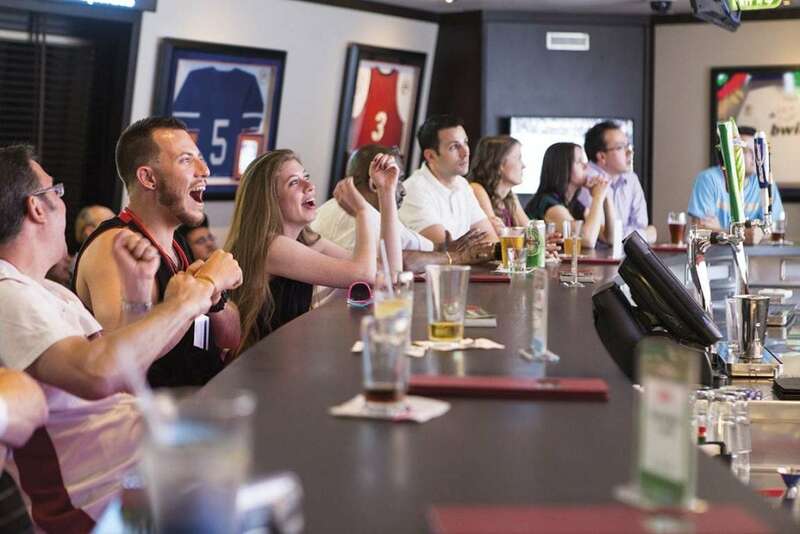 You’re bound to meet like-minded fans of your hometown team to watch the game with, and that dials up the fun factor and gets you pumped for those TDs. If you’re worried about extra holiday pounds, there’s no better place to work off your meal than onboard your cruise. There’s a wide range of sports and leisure activities to get you moving, from professionally guided fitness classes to jogging along a track with ocean views. 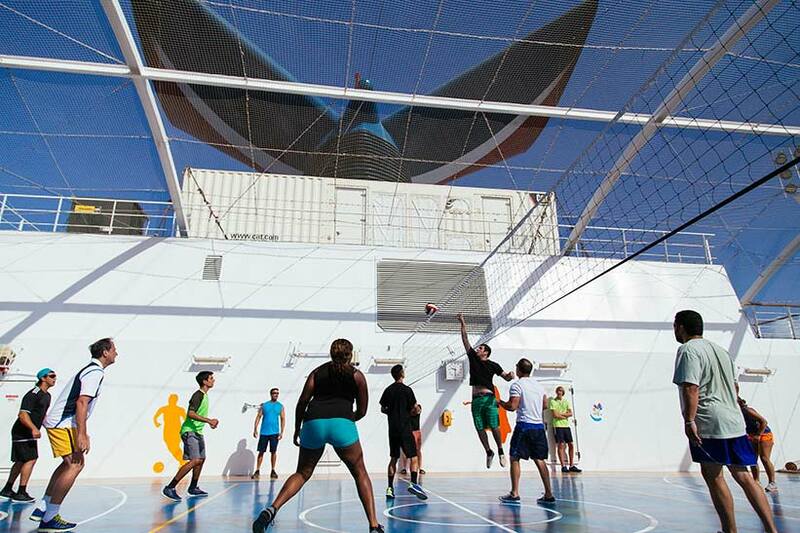 Check your ship’s offerings for details on exactly what you can expect from a sea day workout. You know how there’s often a post-holiday letdown? Not on a cruise! Your stateroom is designed with total comfort in mind, and stewards are available to make sure you get what you need 24 hours a day. Whether you want a relaxing massage at the spa or a little retail therapy on Black Friday, you can do it all right on the ship. Thanksgiving is one of the most special and uniquely American holidays, and you can make this year’s celebration one for the ages when you bring your family on a Carnival cruise. You’re guaranteed to make memories for a lifetime!